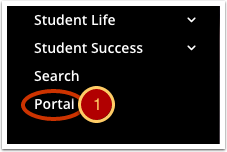 The IAIA Portal gives you one-click access to our major campus systems. 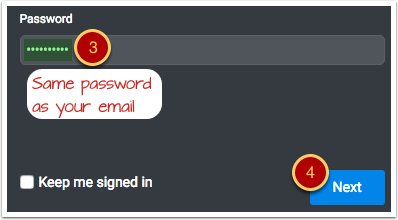 Once the Portal is set up with your passwords and login names, you'll have just one login to remember. You must have a working IAIA email account to use our portal. Starting from the IAIA home page, look for Portal at the bottom-left of the page. 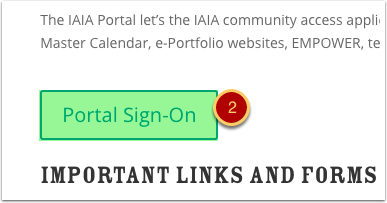 The portal displays buttons for IAIA systems. 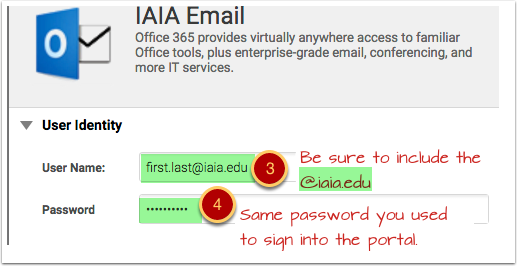 If this is your first time using the IAIA portal, you'll need to add user names and passwords to the buttons. Before you can use the buttons, you need to add your sign in information. 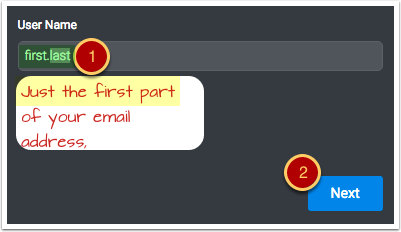 Expand each item below for details on how to add sign in information. Now usernames and password fields will appear. 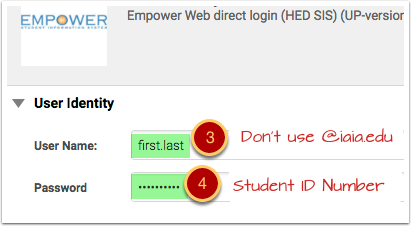 In the next step, be sure to add a # symbol after your user ID number. Be Sure to Sign Out and Close Browser! Quit/Exit the web browser you were using. Now that your log in information is filled out, you can use the Portal to access any of these services with a single click.